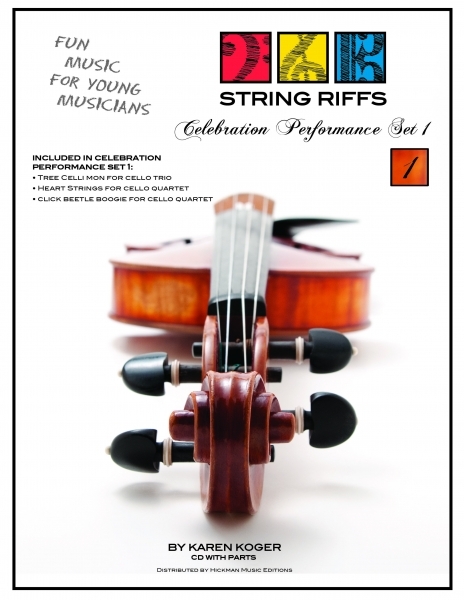 As we publish String Riffs Holiday Volume, Celebration Performance Set 1, 2 and possibly 3, AND Accompaniment CDs with performance ready piano tracks as well as miditracks with Strings and Piano for String Riffs Volumes One, Two, and Three, we appreciate the huge team it has taken to create these fun pieces for young musicians. You can still get a piece or two for free by signing up for our newsletter ( I have sent only two notices this past year, I swear). You may use them and share them with other string teachers. StringRiffs.com” – Is already showing up on new pieces, like: Salamander Meander and Silently Beside You (influenced by Eva Maria, a student, Jimi Hendrix rhythms, Native American folklore, and Native American sounds), and Huxtable, The Kitchen Elf. PS hope to see u in Salt Lake!